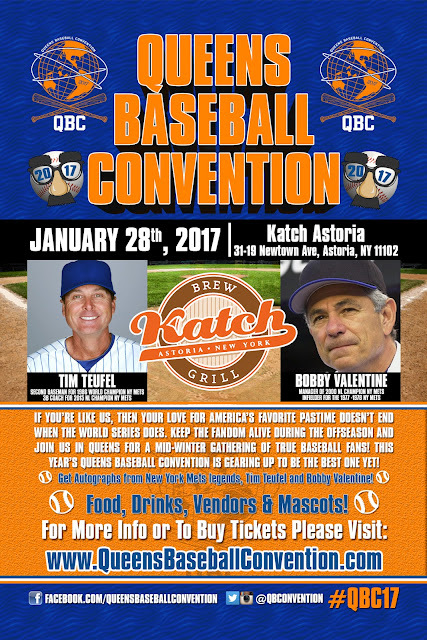 Hey guys we are getting closer and closer to the QBC'17 which is going to be held at Katch in Astoria on Jan 28, 2017. If you guys have missed QBCs in the past, here is your chance to go now. The $75.00 2000 World Series Ball package that includes admission, QBC collectors pin, 2 autographs, price of admission and the only package left with fast pass access.. You get to jump the line to get the autographs. As of writing this at 10 pm Wednesday night, there are FIVE of these left. Grab this now!!! The $55.00 package I feel is a great deal. Admission plus two autographs and QBC collectors pin. The $35 package have SOLD OUT. There will be a chance to buy additional autographs the day of the QBC but if I were you I would just get the $55 package because that will be cheaper then getting a $35 or $40 ticket plus an addition autograph ticket. Also, just so you guys know, we aren't going to do what a lot of events that do signings do. It is one flat price for the autograph. We are not up charging for game used gear, bats, balls, jerseys, etc. Flats are the same as equipment. It's a fun time had by all. 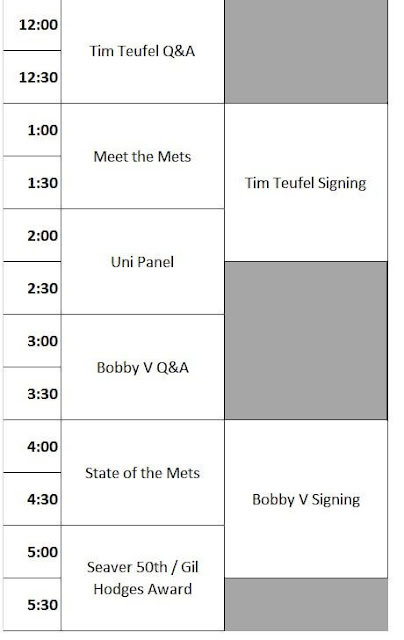 We do this as fans for fans because this what we would want to see if we went to a Fan Fest from the team in Queens. Sandy and Peewee from the Brooklyn Cyclones will be there.